For the third consecutive summer, BlackBerry® (NASDAQ:BBRY)(TSX:BB) and Free The Children will be sending 50 Canadian students on a Me to We life-changing volunteer trip to Kenya and India as part of the BlackBerry® Build-A-Village Award Program. Through the program, BlackBerry is giving youth an opportunity to immerse themselves in a new culture, and gain hands-on experience with sustainable community development projects abroad. BlackBerry has partnered with Free The Children to send the students to its Adopt a Village communities in Eor Ewuaso, Kenya and Bagad, India, with the core mission of eliminating the obstacles preventing children from accessing education. For three weeks, students will embark on a variety of programs such as helping to build a school and planting trees. Students will also have the opportunity to learn from community leaders, participate in leadership development activities, and delve into daily discussions on tackling social issues. The students will truly be immersed in the community, learning to speak the local language, as well as learning the culture, traditions, joys and daily challenges faced by the community. "We are thrilled to work with such an innovative company like BlackBerry year after year to help inspire and make a positive impact in the lives of young people through international volunteer travel," says Marc Kielburger, co-founder of Free The Children and Me to We. "The opportunity to travel and volunteer across the globe is an incredible opportunity for young people to not only make a difference to a community in need, but also to learn about themselves and become empowered to help make a difference right in their own community when they return." "As champions of ambition, BlackBerry aims to empower youth with the Build-A-Village Award Program, to help them realize their fullest potential as agents of change in their own community and the world. The BlackBerry Build A Village Award Program is a unique, transformative initiative where the students involved can really see how their contributions have positively impacted the lives of so many children and families from communities in need, while at the same time, transforming their own lives and perspectives. Education is at the heart of BlackBerry's Citizenship initiatives and we believe in the importance of education to inspire the next generation of leaders," said Andrew MacLeod, Managing Director for Canada at BlackBerry. This year's winners, ranging from the ages of 14 to 18, are students from the Waterloo region. They were selected for their dynamism, passion, leadership qualities and the contributions they have made to their local community. While coming from diverse backgrounds, they share the common goal of having a fierce determination to create social change. 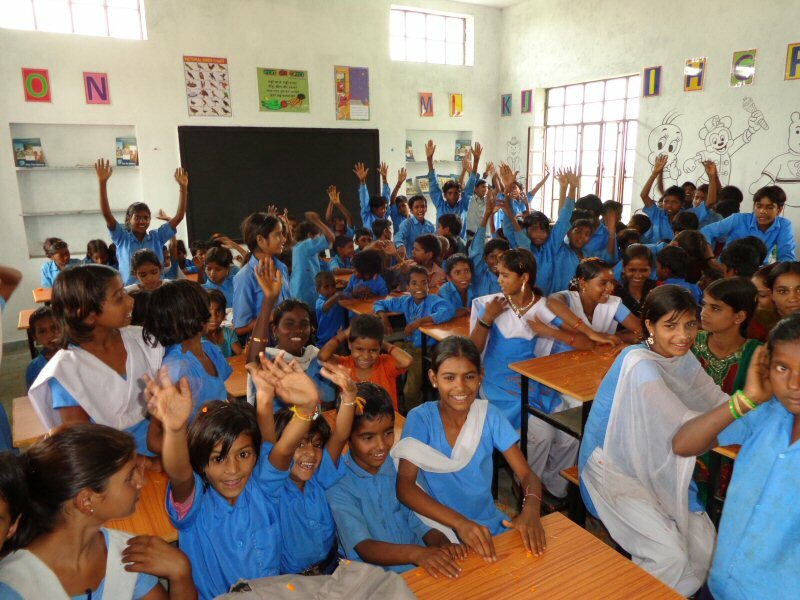 The BlackBerry Build A Village Award Program is in its third year, and through the program's first two years, 100 students have participated to build six classrooms in Eor Ewuaso, Kenya and three classrooms in Bagad, India with two more additional classrooms to be completed this year. BlackBerry will also be a key partner of Free The Children's stadium-sized educational event We Day. Bringing together a generation of youth to lead a movement of local and global change, We Day takes place in major cities across North America with BlackBerry as the Title Sponsor in Waterloo Region (November 20) and support for other cities including Toronto (September 20), Vancouver (October 18), Halifax (November 27) and Ottawa (spring 2014). For more information about the BlackBerry Build A Village Award Program, please visit www.freethechildren.com/buildavillage/. Free The Children is an international charity and educational partner that has more than 1.7 million young people involved in its programs. Founded in 1995 by international activist Craig Kielburger, Free The Children believes in a world where all young people are free to achieve their fullest potential as agents of change, and empowers youth to remove barriers that prevent them from being active local and global citizens. The organization's domestic programs-which include We Day (www.weday.com), Free The Children's signature youth empowerment event, and We Act-educate, engage and empower hundreds of thousands of youth in North America, the UK and around the world to become engaged global citizens. Its international projects have brought more than 650 schools and school rooms to youth and provided clean water and sanitation, health care and food security to one million people around the world, freeing children and their families from the cycle of poverty. The organization has received the World's Children's Prize for the Rights of the Child, the Human Rights Award from the World Association of Non-Governmental Organizations, and has formed successful partnerships with leading school districts, school boards and Oprah's Angel Network. For more information, visit www.freethechildren.com. To view the photo associated with this press release, please visit the following link: www.marketwire.com/library/20130730-bhagad800.jpg.